However, the fact remains: you’re also looking for someone to help grow your wealth. Investing is not easy, and it’s important to achieve a consistent conservative return as well as avoid big losses. The problem is, most of the time, there’s no easy way to find out how competent your advisor is in advance. When you’re dealing with dollars and cents, as the world of financial management does, it’s not difficult to quantify results. Pull up any mutual fund and you’ll get a complete history of the fund’s performance, across many different time frames. Since it’s not that difficult, why aren’t more advisors providing their track records? 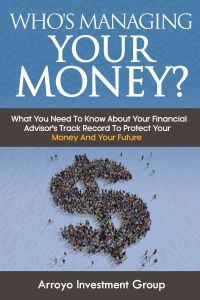 A Wall Street Journal article headlined “Financial Advisors: Show Us Your Numbers” confirms that the vast majority of advisors do not disclose their performance records. Or they talk about their results verbally, but offer no written record or verified numbers. Sadly, most people end up simply entrusting this critical role of investing their life savings to someone whom they can’t easily evaluate. In the institutional finance world, accountability and performance tracking are commonplace and in fact, required by most corporations and other organizations. But in the realm of providing financial advice to individuals, such transparency is not common. Why not? Wouldn’t all of us individuals benefit from results-based data as much as a corporation? According to Charles Rotblut of the American Association of Individual Investors, the answer may be simple: most investors are not asking for this information. When your life savings is at stake, however, your advisor’s track record is critical information. So always ask your financial advisor, or a prospective financial advisor, for this information — in writing. Things can be said in a meeting that might sound good, but many investors have been disappointed when the actual results don’t match sales promises. The other problem is that statistics are notoriously easy to bend to tell whatever story the storyteller wants them to tell. An advisor could easily just cherry pick the good calls and edit out the bad ones. This is against regulations, but it doesn’t mean that it’s not done. So as an individual investor, what can you do? The investment management industry itself has developed a solution, and that’s best practices for performance tracking. It is called GIPS®. GIPS® is short for Global Investment Performance Standards, a worldwide standard of reporting investment results. These standards are maintained by the CFA Institute, a well-recognized global association of investment professionals. This is the organization that offers the Chartered Financial Analyst designation and other widely respected credentials. With GIPS® standards, you get the transparency you need to compare and evaluate financial advisors. Its specific guidelines lets you effectively compare apples to apples. 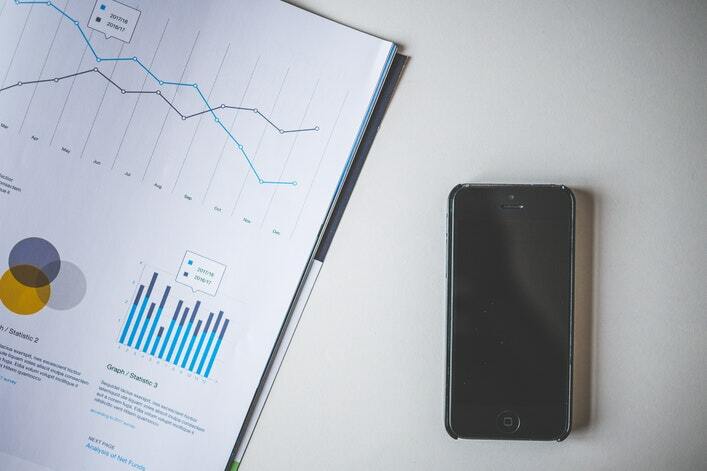 So when you’re talking to your financial advisor or looking to hire a new one, always ask if they can provide you with their GIPS® performance track record. If they don’t adhere to these best practices, that might be a red flag. They still may be a competent investor, of course, but they may not be as transparent as you’d like. It would be nice to think that there are superstar investors out there. While people do have “hot streaks,” these are often the result of taking more risk, and are usually followed by years of negative or flat performance. Then, of course, there are the passive managers who simply strive to mirror the market. This works great during bull markets, but these will be eventually followed by losses when the inevitable bear market arrives. Most of us, when investing for our future, cannot afford large losses. So our strategy should be different. You should strive to capture a good portion of the market returns with less risk. So the focus is on risk management. Yes, you will give up some of the upside on those really great years, but more importantly, you will lose less when the market drops. While highs and lows can be exciting, that’s not what helps you achieve your life goals. Instead what really gets you there is consistency of returns. This requires a manager who is, first and foremost, disciplined about risk management. It also requires someone who is committed to choosing lower-expense ETFs and funds, since fees can eat into your returns. How will you effectively manage risk for me? And, get it in writing. This information is part of our free eBook, “Who’s Managing Your Money”, a practical guide to hiring and managing a financial advisor.